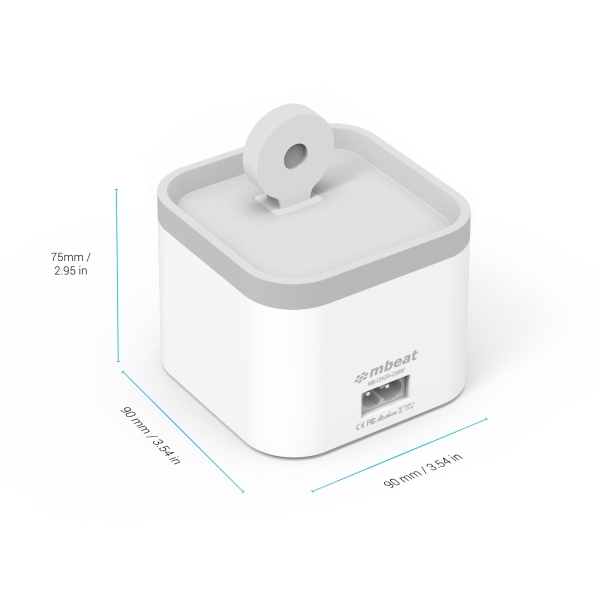 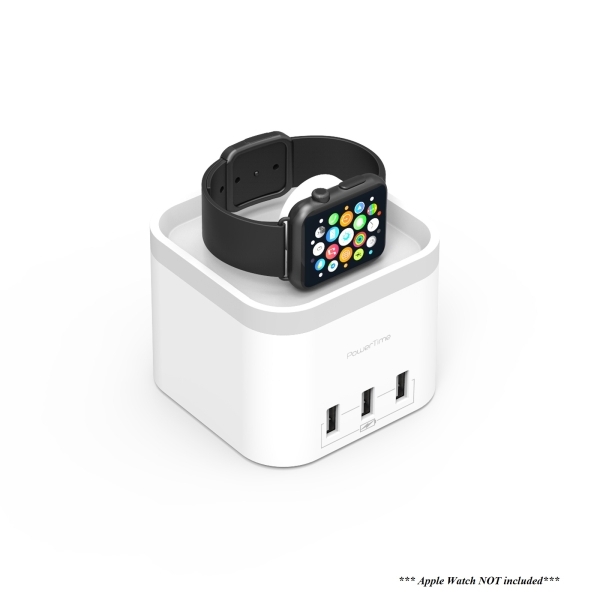 The mbeat® Power Time Apple Watch Charging Dock with 3 Extra Smart Charging Ports charge Apple Watch with 3 extra USB devices effortlessly. 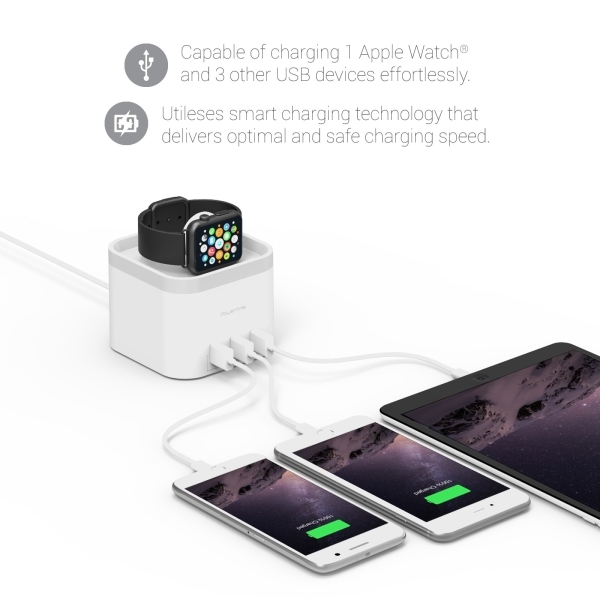 The dock can conveniently hold and support the Apple Watch magnetic charging cable, with the space-saving design it is a practical device for home and office use. 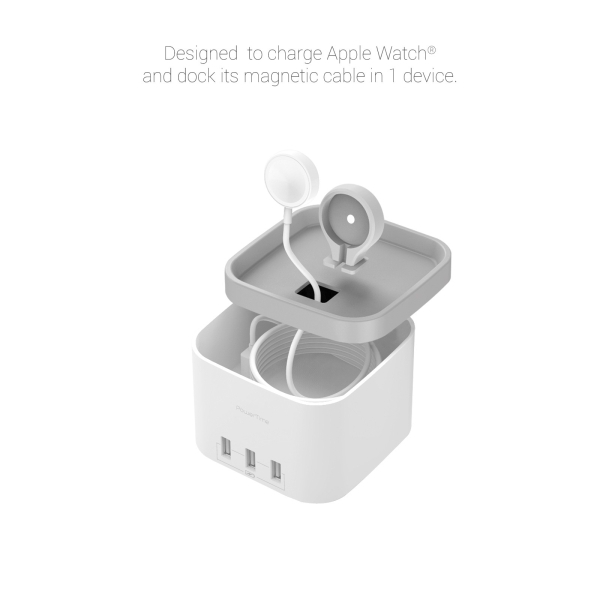 Conveniently dock Apple Watch magnetic charging cable. 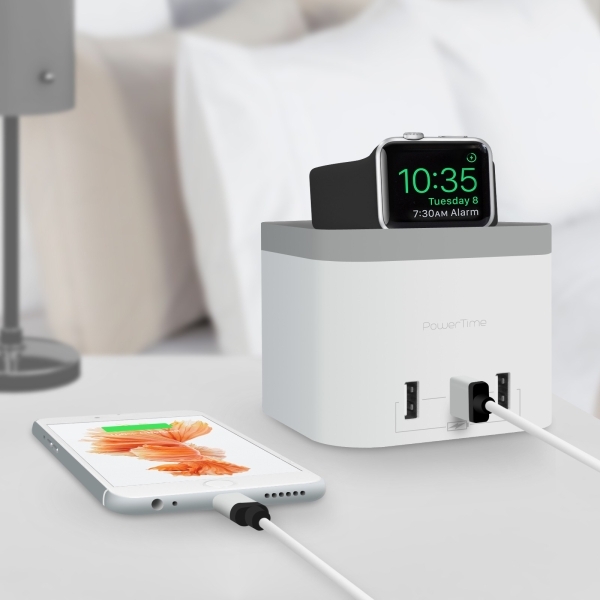 Space saving design and practical use in home and office.